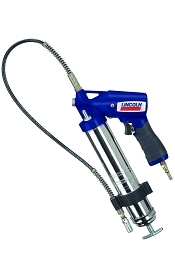 The Lincoln PowerLuber® 12 Volt Cordless Rechargeable Grease Gun remains one of the most advanced grease guns ever created. PowerLuber’s balanced design makes lubing hard-to-reach fittings routine. 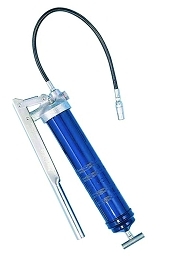 And when you’ve got a lot of fittings to hit, the rechargeable 12 volt battery provides long-lasting performance. Three-way loading makes refilling a snap. 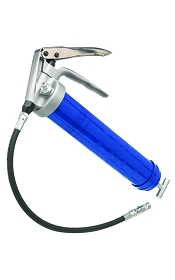 There are three PowerLuber models, with a full range of accessories, designed to meet the demands of any lube application—from the professional mechanic to the do-it-yourselfer.